Millions of valuable items are lost every day! Millions of notebooks, luggage, keys, cameras and other valuable items got lost every day. But only a small percentage of them can be returned because there is no identification on the property. Select from a collection of ID labels and tags, activate the registered number, and relax. Numigo makes it very easy for honest finders, police departments and lost and found personnel to return lost personal belongings and corporate assets. Just enter the ID and a short message. 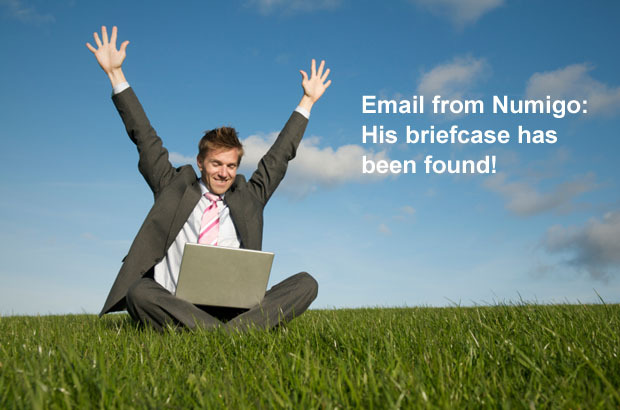 More than 90% of the items protected by Numigo can be returned. Join Numigo now for free!